Rollin' News - World Wide Roller Derby News | August’s Rebel of the Month is Jirr Ballistic! What is the inspiration and story behind your derby name? Jirr use to be a nickname when I lived in Miami, it’s a sweet memory. I use to babysit these two young Irish children. They couldn’t pronounce the L sound in my name but would make the sound of R. Jill became Jirr and some of those close to me picked it up. As for Ballistic… Growing up, one of my favorite stories was Ferdinand the Bull. Ferdinand is a very chill bull and never wanted to fight until he accidentally sat on a bee and got stung, then he went ballistic. I feel like I am kind of like that, very chill and easy-going until stung. That usually comes about if animals or those I love are threatened or harmed.I would have used Mama Bear but with Grizzly Madam on the team, I didn’t want to do that. Griz is the ultimate bear! You know we always shorten people’s derby names. Some of us call you Jirr, some of us call you Ballistic, some of us use your real name and sometimes you go by Mama Bear. On the record, what would you prefer we call you by? Hahaha! I am used to being called multiple names and nicknames, since I have two first names. As part of a roller derby team, I get all happy when my derby name is used. Ballistic is usually the easiest. I love Mama Bear too, because it’s who I am. I got that nickname back home because I became a mama to friends and coworkers; nurturing, protecting, and giving advice. I guess my Gainesville friends noticed this about my personality too and began calling me that. Many miles apart but the same gal. Do you have a favorite quote? Life happens. You live, you learn, and then you get hugs. How did you get involved with roller derby? All the credit goes to Suzie Bonebreaker! I had only been living here for a few months and knew no one. I was eating at this yummy restaurant and she was the waitress. I remember noticing her lovely tattoos and a broken finger. I asked how that happened and she told me all about derby and GRR. There was a bout the next evening and I went. I wasn’t great at skating but fell in love with NSOing and stats gathering. You have been GRR’s Head NSO for a while now and from keeping data and statistics to wrangling NSOs, you have one of the toughest league positions. What keeps you involved? First, it’s that I am contributing something to the team since I can’t skate to save my life. It helps the skaters better their skills and team. Second, I have an AMAZING derby partner and NSO crew! Sailor Doom was my right-hand NSO when she joined, then became Bout Coordinator. She and I support each other 100%. The volunteer NSOs, who I lovingly sometime call Cubs, are some of the best people a HNSO could know. They all make bout prep and bout day work like a well-oiled machine. We throw some awesome bouts! Third, the paperwork, data entry, bout setup seem like second nature to me. I like all that stuff. I’m bizarre, what can I say. You do a lot to help setup bouts. Do you have a pre-bout ritual? I like to do my hair and makeup in pinup style, listen to music that gets me pumped up. Make sure my bout box is set up properly and everything is organized for the NSO crew. What do you think about before the whistle blows? I think how Doom and I did a great job prepping and now it’s bout time. Know that the NSOs will do their thang as best as possible. I am also full of nerves, since I have been the whistle blower lately. Being Jam Timer is intimidating! What is your day job? And how, if at all, has it contributed to your experience of roller derby? I am an educator and a test administrator. I think my day jobs contributed a lot because I am always meeting new people, teaching NSOs the different positions and paperwork, and staying organized. How has your involvement in roller derby affected the way you live the rest of your life? Roller derby has gotten me mad respect with my students; they think I am so cool. Also, I have gotten some great friends in and out of derby. No longer that new girl from Miami on the verge of being a hermit. 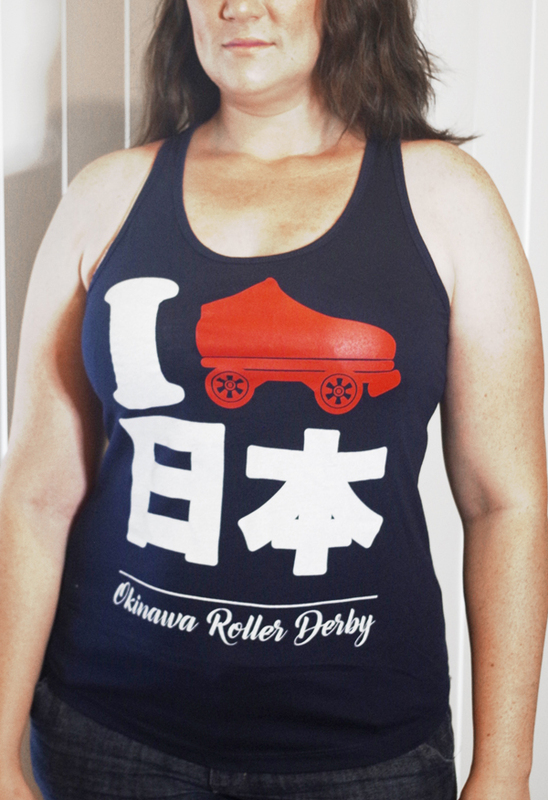 How do you find a balance between your derby life and your “real” life? Work a whole lot, snuggle with my bulldog Regan, learning how to box, working on getting cosmetology licenses, and hang out with my friends. What advice do you have for anyone who may be interested in officiating or volunteering for GRR? GO FOR IT! Roller derby isn’t just for those who can skate. It’s for all those who like the sport, who like being fantastic women and men, and want to try something new. Talk to a Skater, a Ref, or a NSO; any of them will give you info and the team will welcome you with open arms. Do you have a special message to your fans? Aww shucks! Wear red lipstick when you can. Be you all the way, but being self conscientious will happen sometimes. Respect others, be compassionate. Keep coming to bouts, have fun, and get me if you have a question or something. There’s no shortage of gratitude that we’d like to give you, but is there anyone that you’d like to thank? I want to say thank you to my parents, I don’t do that enough. They take care of Regan when I am away for a long time, don’t have to worry about my babygirl. They also come out to the bouts to cheer on the team and me. Also thank you, for the millionth time, to all those who give their time and energy; I will never stop saying thank you for all y’all do.